On 10 April 1970, Paul McCartney announced the end of the band known as the Beatles. The the band officially split on 31 December 1970. The Beatles, or the Fab Four, were an English rock band, formed in Liverpool in 1960. They were one of the most famous rock groups of all time. Musicians John Lennon and Paul McCartney played together in the late 1950s as 'The Quarrymen'. With Harrison they formed 'The Silver Beatles' in 1959 and then in 1962, Ringo Starr joined the trio and thy dropped the Silver to be know as the Beatles. Why are the Beatles so famous? They were the first British band to write their own songs and music. They are the only group in recording history to have 20 songs reach number one. How many songs did the Beatles record? The Beatles recorded 214 songs from 1962 to 1970. Their first UK single was 'Love Me Do', released on 5 October 1962. The 1964 song 'I Want to Hold Your Hand' sparked “Beatlemania” in the United States and the band became an international success. The group's albums include 'A Hard Day's Night' (1964), 'Revolver' (1966) and 'Sgt. Pepper's Lonely Hearts Club Band' (1967). 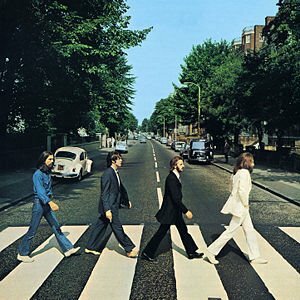 The Beatles last album recorded was 'Abbey Road' (pictured right). A documentary of the Beatles rehearsing and playing live.